This is the official Neiman Marcus cookie. It is a response to the urban legend of the $250 Neiman Marcus cookie (also available in the app). At the time the original story came out Neiman Marcus did not even sell cookies, but after the legend spread they decided to create a real cookie of their own and this is it. 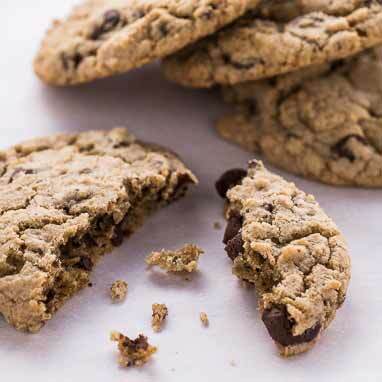 It's hard to go wrong with this classic: it is a thick chewy chocolate chip cookie with a touch of instant espresso powder to really kick the chocolate up a notch. This cookie would be perfect with a simple glass of milk or paired with the ice cream of your choice for a tasty ice cream sandwich.